Many times, I am asked about having a live Christmas tree in the house and allergies. I hear lots of reports of someone’s allergies getting worse once the tree is in. Christmas trees are not pollenating at the time we are celebrating the season. What most people experience is symptoms from dust, mold and irritants brought in from the outside. There is really no way to “clean” the real tree. If you are highly reactive to real Christmas trees, you might want to consider the alternative of a fake one. But remember, these too can have an impact on your allergy symptoms. Most symptoms from fake trees are brought on by dust. 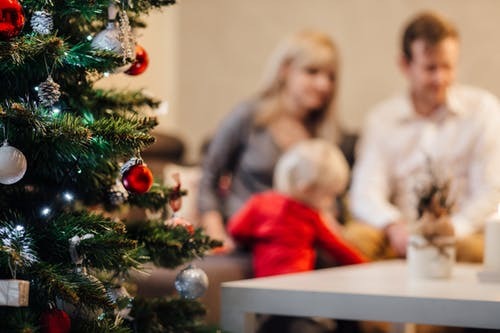 Decorating the tree is a wonderful family activity, but if you are the one suffering from the irritants of the Christmas tree, you might need to set as far away from the actual tree as possible and supervise. If you must actively participate, make sure that you wash your hands, change your clothes and rinse your nose out afterwards. This will help remove some of the irritants that are present. If your symptoms are severe, you may have to consider wearing a mask to try and eliminate breathing in the irritants. A well-ventilated room and even a HEPA filter can be helpful while the tree is up. Christmas trees are a beautiful part of the holiday season. Hopefully everyone can enjoy them.